To make this, I went to a local taproom that sold individual bottles and cans of beer. I picked out 25 (Yes, the 25th is Christmas, but I thought he'd like a beer that day too.) The beers are all different and they run the gamut from pale German lagers to thick, rich stouts. Yum! 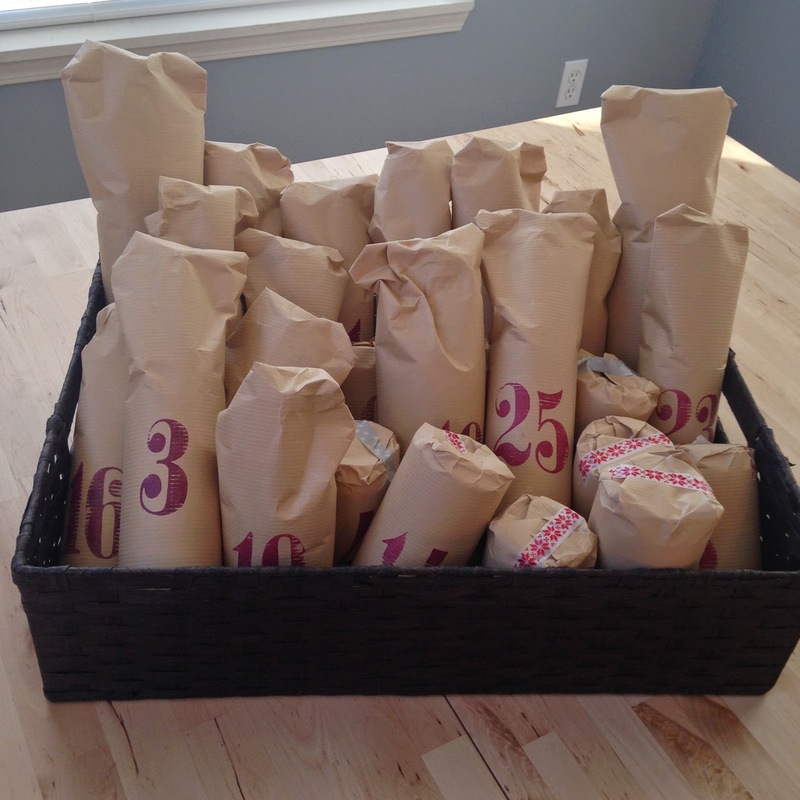 For decorating, I wrapped each one up in kraft paper, used washi tape for color and stamped the numbers on each one. 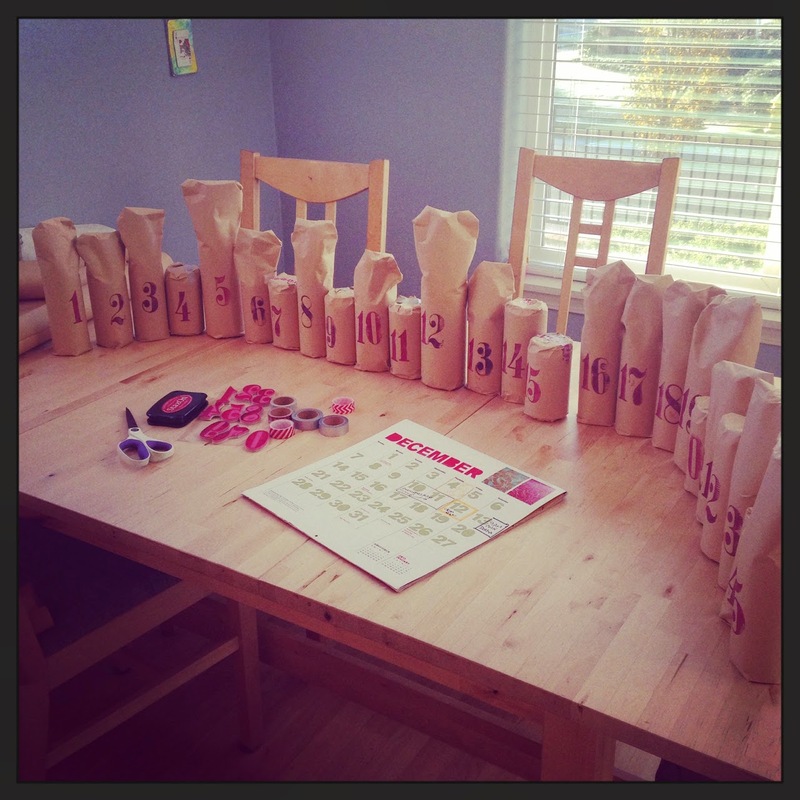 Tip: If you don't want to micromanage your beer choices, wrap first and then number. It was a huge bonus to me not to speculate on if porter is a Thursday kind of beverage. You can simplify this by buying four favorite six packs or even two cases. I bought some very fancy beers and the whole thing came to $64. Had I gone with six packs it would have been half that - about $32.